Fall days are coming one after another. We are slowly stepping into the late fall… The colors of the fallen leaves are slowly changing from golden to brown, until there isn´t any… Pumpkin Ice Cream in Chocolate Covered Cones. 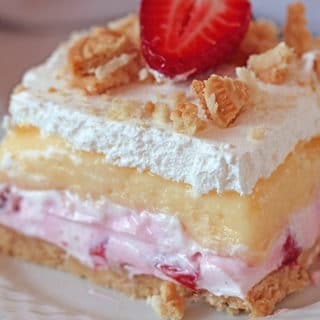 For those who enjoy summer and summer treats I suggest this delicious dessert. 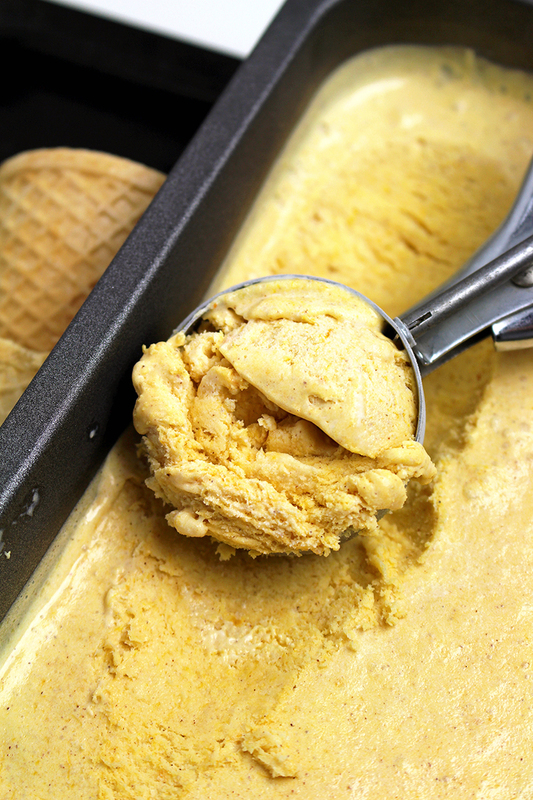 A summer treat with a charm of fall – Pumpkin Ice Cream. 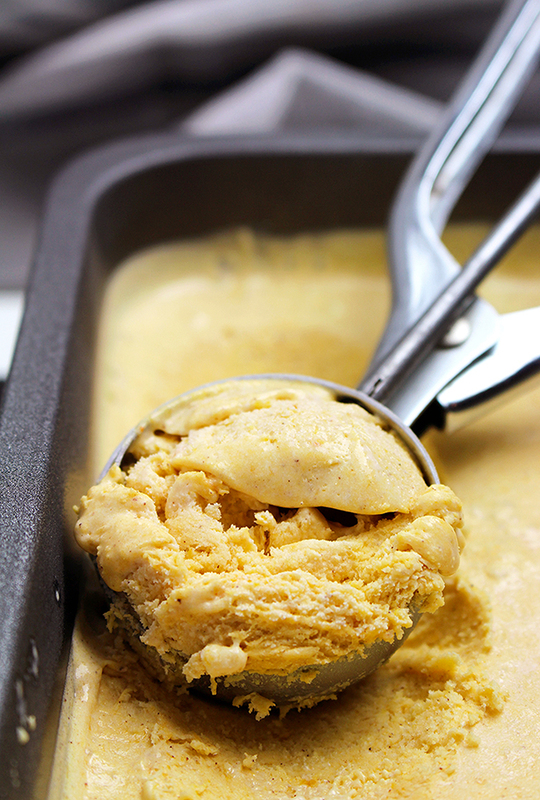 I suggest to all ice cream lovers, to use the pumpkin season and make Pumpkin Ice Cream. The combination of pumpkin, cinnamon, nutmeg with cream cheese and whipping cream is a pure perfection that melts in your mouth and puts a smile on your face. So easy to prepare and yet so delicious to eat. It takes only 5 minutes to make this dessert and a couple of hours for it to freeze and then… let the magic begin. My family and me really enjoy eating this ice cream. 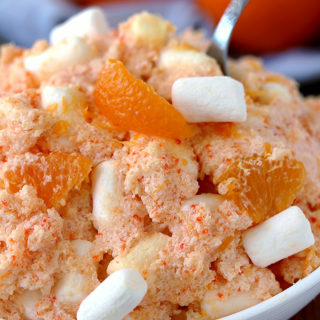 Check out all the other ice cream ideas on our blog… Caramel Pretzel Cheesecake Ice Cream Homemade Mint Chocolate Chip Ice Cream… And we are also pumpkin fans, so check out our pumpkin recipes… Pumpkin Sweet Spicy Buckeyes No Bake Pumpkin Oreo Cheesecake. I wish you all pleasant Thanksgiving Days with this summer treat, warmed up by a fall sun. 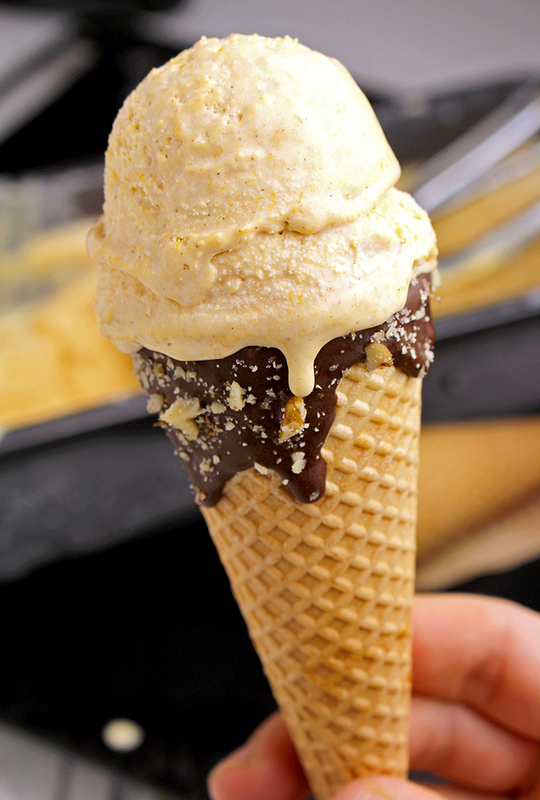 Delicious Homemade Pumpkin Ice Cream recipe with a touch of chocolate walnut cones. Combine pumpkin puree, brown sugar, vanilla extract, cinnamon, nutmeg and salt in a large dish. Add cream cheese and milk and mix until well combined. Finally add whipping cream and mix with electric hand mixer from 1 min and 30 seconds to 2 minutes. Leave the mixture in the fridge to freeze, for at least 3 hours and it is ready to eat. 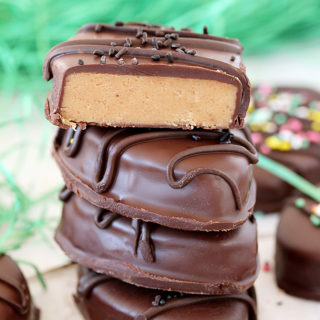 Melt chocolate and put it in a narrow dish. 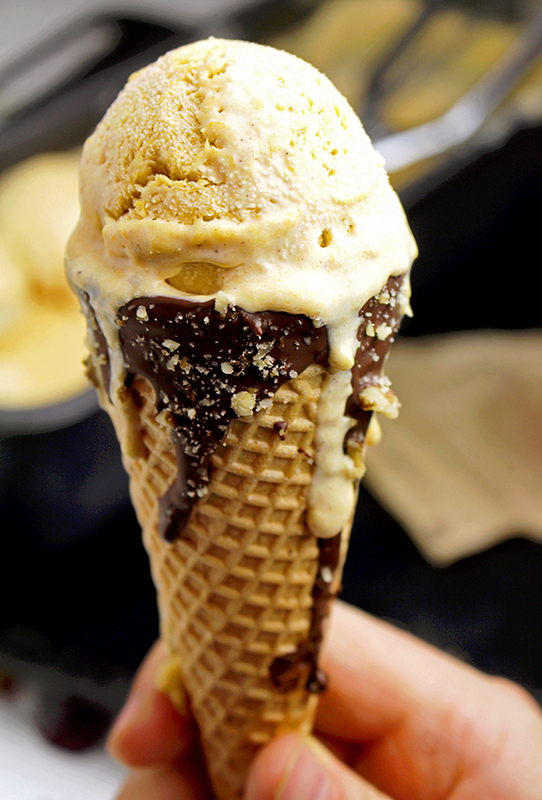 Dip the top of the ice cream cone into the melted chocolate and sprinkle with chopped pecans or walnuts. Put the cones upright for the chocolate to become solid. Serve in cones and Enjoy!